Income statementIncome StatementThe Income Statement (or Statement of Profit and Loss) shows performance from operations of a business. The financial statement begins with revenues and accounting can be complicated, so this guide will shed some light on the most important accounting concepts financial analysts need to know, such as revenue recognition, long-term contracts, bundling and unbundling, principal vs agent, employee share options, post balance sheet events, and proposed dividends. Finally, this guide will discuss how to clean up the income statement accounting with some adjustments. When should revenueSales RevenueSales revenue is the starting point of the income statement. Sales or revenue is the money earned from the company providing its goods or services, income be recognized in the income statement and how much revenue should be recognized? A supermarket recognizes sales at checkout. However, for many businesses, that method is not feasible. Consider a building company that takes a deposit from customers before building a property for them. Recognizing the revenue at the time of cash receipt when the building is completed is not reflective of the performance of the work. Revenue is recognized when a firm has completed a substantial piece of work for which they were paid. In a service, a significant portion of the service must have been provided. In a product, the customer must have assumed the risks and rewards of ownership. For a building company working on a 10-year project, it would be illogical to recognize $0 revenue for the first 9.5 years of construction. We reiterate the issue of revenue recognition when aspects of work are completed. Recognition falls in line with aspects of work completed. When a project is 30% complete, 30% of total revenues will be recognized and matched to 30% of total expected costs. If a project is loss-making, losses must be recognized immediately. Special treatment must be taken when dealing with combining the revenue of services. Consider a gym that requires a non-refundable joining fee from a customer. Does the fee represent a prepayment for future services? If so, it should not be recognized as revenue on day 1 but spread over the term of the contract, a resulting liability (deferred income) where the cash has been received but the services not yet provided. In contrast, consider a phone deal offering a free cell phone along with a two-year contract. Would this be considered a promise of future payment? If so, it results in an asset (accrued incomeAccrued IncomeAccrued income is income that a company will recognize and record in its journal entries even though cash has not been received. There are times when a company will record a sales revenue even though they have not yet received cash from the customer) where the service has been provided but no cash received. Consider a website selling holidays. What should the income statement of the website look like? By definition, the principal is the primary operator, while the agents act on behalf in the best interest of the principal. The key point here is that while the bottom line profit number is the same, presentation and recognition can result in a significant impact on profit marginsNet Profit MarginNet profit margin is a formula used to calculate the percentage of profit a company produces from its total revenue. The profit margin ratio of each company differs by industry. Profit margin = Net income ⁄ Total revenue x 100. Net income is calculated by deducting all company expenses from its total revenue which is and sales multiples. 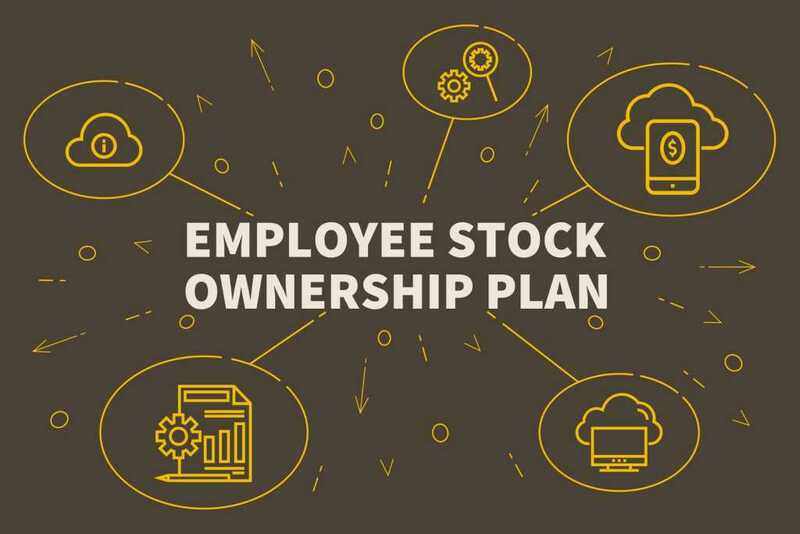 Employee share optionsEmployee Stock Ownership Plan (ESOP)An Employee Stock Ownership Plan (ESOP) refers to an employee benefit plan that gives the employees an ownership stake in the company. The employer allocates a percentage of the company’s shares to each eligible employee at no upfront cost. The distribution of shares may be based on the employee’s pay scale, terms of reward employees with the opportunity to gain some ownership in the firm. Share option accounting is determined by basic accounting principles. This can be one of the more complicated aspects of income statement accounting. Typically, an employer grants options to staff if certain performance targets have been achieved, with the options exercisable in the future. For example, on January 1, 2009 (grant date), staff may receive options to buy shares in the company for €1.00 per share (strike price) on December 31, 2010 (vesting date) if, at that time, they are still employed by the company and the company share price is greater than €2.00 (performance conditions). The share price on January 1, 2009 is €1.50. On the grant date, the difference between the exercise price and the market value of the share is $0.50. This is referred to as the intrinsic value of the option. The options also come with a fair value, which will be higher than the intrinsic valueIntrinsic ValueThe intrinsic value of a business (or any investment security) is the present value of all expected future cash flows, discounted at the appropriate discount rate. Unlike relative forms of valuation that look at comparable companies, intrinsic valuation looks only at the inherent value of a business on its own. as there is the possible upside of share price increases over the vesting period. The accounting treatment for the option schemes is separated into what happens over the vesting period and what happens at the exercise date. It is important to keep the two separate and not try to relate them to each other. The accounting rules require an expense to be recognized in the income statement equal to the fair value on the grant date of the options granted, spread over the vesting period. Taking the example above, if the fair value of an option was €1.00 (derived from the option pricing model), then there would be an expense of €0.50 for each of the next two years. We treat this as an increase in equity (usually retained earnings) so the overall impact of this cosmetic expense in the income statement is nil on the balance sheet. Equity increases from the direct dual effect and decreases when the expense flows through to retained earnings. On exercise, any cash received by the company from the employee is treated in the same way as cash received when issuing ordinary shares. This will not impact the income statement of the company. There are never any gains or losses reflected in the income statement as a result of transactions in a company’s own shares. A cash-settled share option scheme works in the same way as a traditional equity settled scheme (as above) but on exercise date the employee receives cash equal to the difference between exercise price and market value of the share. In cash-settled schemes, expenses are recognized in the income statement over the vesting period but the dual effect is a liability, as there is an obligation to pay cash in the future. The accounting for a cash-settled scheme is the same as the accounting for any discretionary long-term cash bonus by expensing in the income statement as it is earned, and the liability is extinguished when the cash is paid. Note that employee share options affect DCF valuations. The share option expense in the income statement is a non-cash charge and should be added back when determining the free cash flows to be discounted back to enterprise value. Therefore, EV is larger than for a company that rewards its staff with cash rather than share options. However, when adjusting from EV to equity value, in addition to deducting net debt, an additional deduction will be required in recognition of the fact that any in-the-money options will need to be funded somehow, which effectively reduces the value of the shares of the company. The deduction should be the difference between the share price at the balance sheet date and the exercise price of the options. Adjusting events will change financial statement numbers. Non-adjusting events require disclosure with no changes to accounts numbers. For a proposed dividend to be recognized as a liability at the balance sheet date, neither the directors nor the shareholders can have the ability to cancel it. Where dividends are proposed after the balance sheet date, they are not recognized as a liability. Operating profit and EBITEBIT GuideEBIT stands for Earnings Before Interest and Taxes and is one of the last subtotals in the income statement before net income. EBIT is also sometimes referred to as operating income and is called this because it's found by deducting all operating expenses (production and non-production costs) from sales revenue. are not necessarily interchangeable metrics. Operating profit is an accounting metric, whereas EBIT is a metric used in analysis and can be adjusted to normalize the underlying profit. Below is a list of adjustments that can be made to clean up the income statement accounting. Intangibles (and the consequent amortization) are likely to be more conspicuous. The need for EBITDA remains. Additionally, other sector-specific metrics may be appropriate such as EBITDAR (adjusting for rentals), and EBITDARD (adjusting for research and development) may be necessary to obtain sector comparability. Call OptionsCall OptionA call option, commonly referred to as a "call," is a form of a derivatives contract that gives the call option buyer the right, but not the obligation, to buy a stock or other financial instrument at a specific price - the strike price of the option - within a specified time frame.